Back in 2010 I filmed a session with three American songwriters; Joey Ryan, Jeff Klein and Jay Nash. In September 2013 Nash was touring again in The Netherlands and we took the opportunity to film a new full session. He went for some of the biggest songs in the history of music, and he more than got away with it. It was really good to film and see Nash again, because back in 2010 we only filmed two songs of each songwriter. Now he got to do four. There’s something in the American’s voice that makes you feel at ease, so you can really focus on the songs when listening to his records and this session. I probably won’t be alone in this. Nash has build quite an impressive discography so far and his most recent record Letters From The Lost might be his best effort yet. In this session he played Sailor of that album from May 2013. 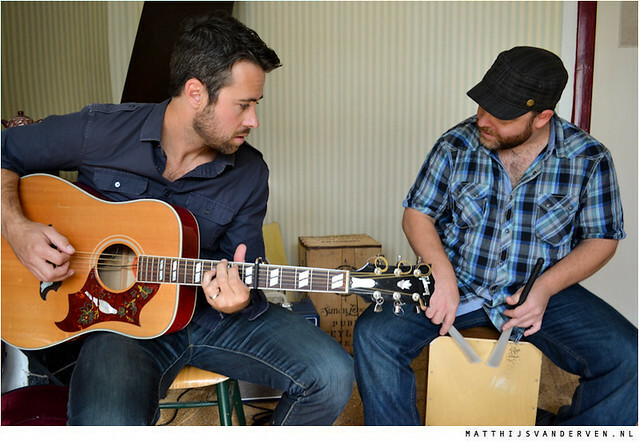 Nash played this session together with drummer Josh Day. The Simon Lévelt Café was once again kind enough to host us.